Exercise and diet. Two sides to the fitness coin. Diet plays an incredibly important part in our health and fitness. Any exercise regimen that doesn’t take diet into account is bound to fail. With that said, there are many so-called “healthy” foods that aren’t actually good for you. If you’re looking to get the most out of your exercise, be sure to avoid these foods. Don’t worry, we’ll be giving you healthy alternatives for you to munch on. If you’re in Hampton and you’re looking for a great workout, come to CrossFit Stimulus! As a source of quality, lean protein, turkey is a great addition to just about anyone’s diet. However, many brands of pre-packaged turkey that you can find at the grocery store load their lunch meat with a great deal of sodium. Some brands contain almost one-third of your recommended daily amount of sodium! You don’t need to cut turkey and other lunch meat out of your diet. If you’re choosing a pre-packaged variety, go for low-sodium options with less than 350 mg of sodium per two-ounce serving. When you take a glance at the wrapper of an energy bar, you might faint from shock once you look at the nutrition value. Most protein and energy bars have more sugar and calories than a candy bar — hardly what you’d call a healthy snack. With that said, there are a few options available that aren’t as unhealthy. Look for bars with less than 200 calories and 20 grams of sugar per serving. KIND and Larabar both make energy bars with only nuts, dried fruit, and seeds, which cut out the added sugars and preservatives. You can even make your own at home like this apple pie granola bar recipe shows. While at first glance, oatmeal seems like the perfect healthy breakfast. 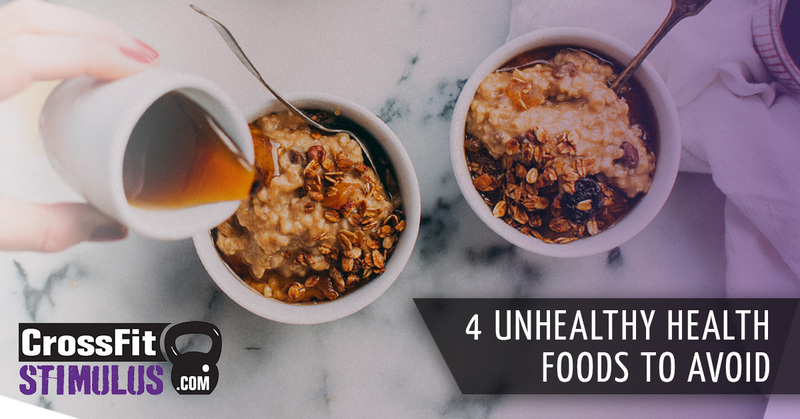 Though basic rolled or steel cut oats are fantastic for your health, those flavored packets that come with most instant oatmeal varieties contain tons of sugar and sodium. If you find plain oatmeal to be too bland on its own, you can add some flavor with fresh fruit, nuts, and flax seeds. That way you can have a healthy breakfast that’s quick to prepare. You might be asking yourself, “Why would reduced-fat peanut butter be unhealthy?” Well, that’s because the fat from nuts is actually good for you! Still not convinced? Check the labels of regular and reduced-fat peanut butter. You’ll find that while their calories are effectively equal, the reduced-fat one adds in more sugar to make up for the lack of fat. Stick to the regular kind and go with one to two tablespoons per serving for best results. It’s difficult to know exactly what to eat when you’re trying to get in shape. However, by checking those nutrition statistics a little closer, you’ll be able to separate what’s actually good for you. 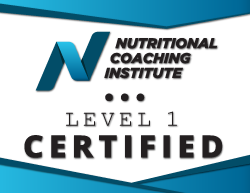 If you need some more assistance putting together a diet that will complement your exercise regimen, the expert coaches here at CrossFit Stimulus will be happy to help! Call us today to get started on your CrossFit journey.